Arrival at Paralia Katerini, to the region of PIERIA, which is called “Olympus Riviera”. After the distribution of the Hotel rooms we have free time to enjoy the market and make shopping. After breakfast and 08:00 o’clock we start our trip. We will travel through the wild and romantic valley of Tembi (45 min stop stop to visit the legendary places and the venus source and to dring holy water from St. Paraskeva’s church). 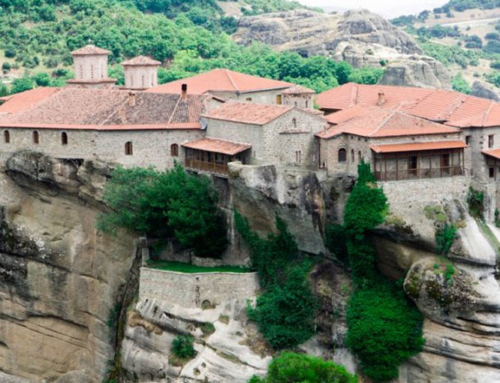 Then on METEORA, a geological miracle, which must be actually seen to be believed. 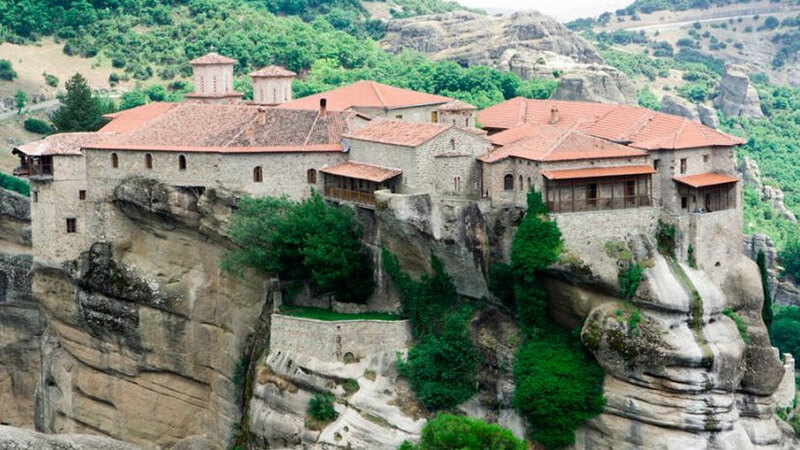 We shall visit the most important monasteries that are built on a remote location on top of high rocks, with a height of 300 – 600 m above sea level. After our visit in the monasteries we will have lunch and we move with direction to Athens. After breakfast we are going to the biggest port of Greece in order to take the ferry boat for Eghina island. By the arrival in the island of Eghina we will visit the Sf. Nektarios and we will have time to see the island. Early in the evening we move back to Pireus port. Early in the morning we will start our city tour in the city of Athens where we will have the avility to visit the most important places. 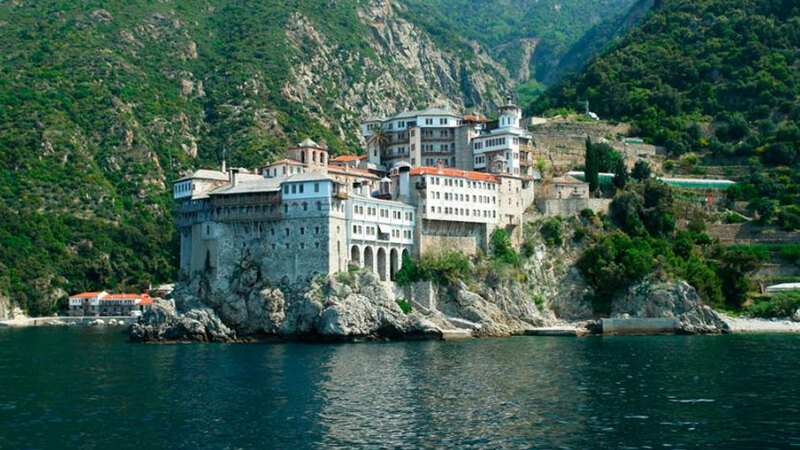 After we move with direction to Evia island where we will visit the monastery of St. John Russian. 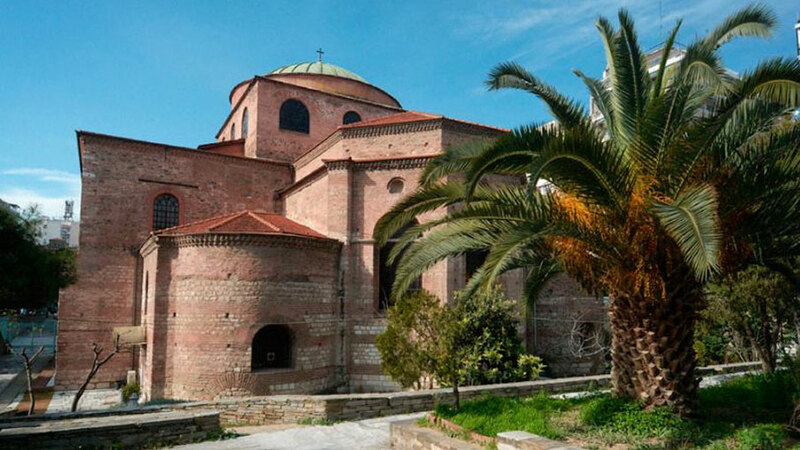 After our visit we will depart with direction to Paralia where we will accommodate. 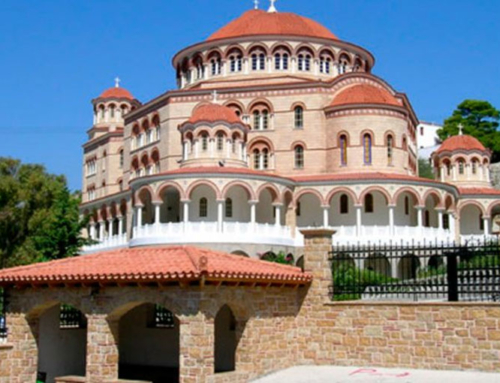 Here we have also the possibility to visit the monastery of Osios Loukas in Arahova if we have enough time. 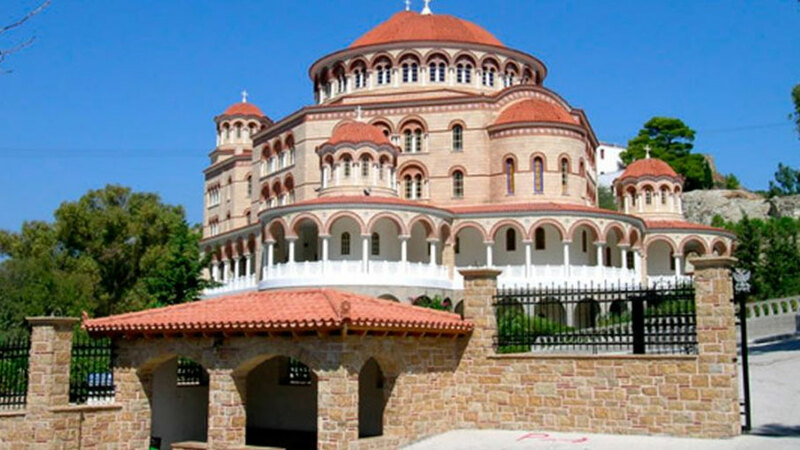 At 06:00 in the morning we take our bus with direction to Ouranoupolis in Halkidiki from where we will take the cruise boat that we will make the tour around the Holy mountain Athos – a unique experience. Around 15:00 we will finish our cruise and we take the bus back to Salonic. 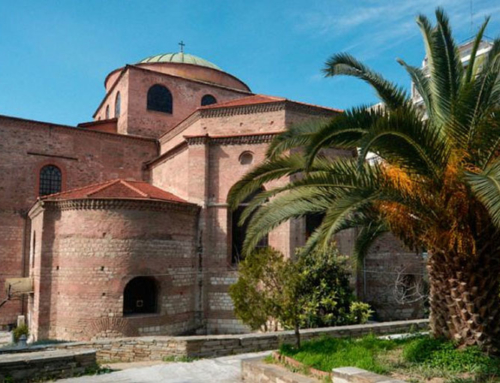 Before Thessaloniki we will stop at SOUROTI monastery where elder Paisios is buried. Continuing we will return back to Paralia.